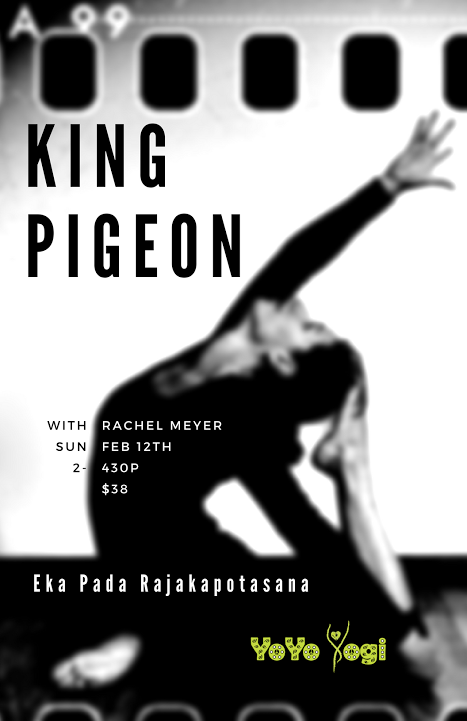 Super stoked to be leading this King Pigeon posture clinic next month at YoYoYogi. Join us on Feb 12th as we break down this much-loved/loathed pose. We’ll flirt with a few cousin poses like Natarajasana (Dancer’s Pose), too.